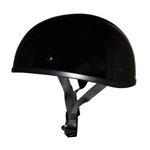 Men's helmets from Leather Bound in New Jersey are available in styles ranging from full-face models to half helmet with skull graphics & novelty helmets. 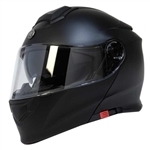 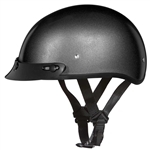 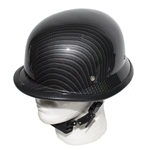 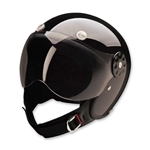 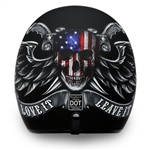 At Leather Bound, we carry the largest selection of motorcycle helmet and biker helmets for men in the tri-state area. 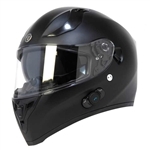 We supply motorcycle helmets from the best brands in the industry including: Helmet City Inc, Daytona, LS2 and Badass Helmets. 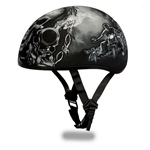 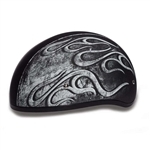 Weather you are looking for a safety approved DOT helmet with graphics or you just want a small, lightweight novelty helmet, we have a large selection of both to meet your needs. 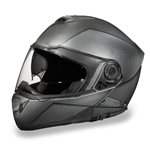 If you are in New Jersey Pennsylvania or even Delaware, we encourage you to ride in to our Pennsauken, New Jersey location so you can try on our motorcycle helmets and find the best fit for your head. 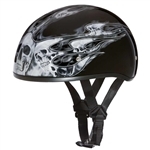 We stock the styles you are looking for! 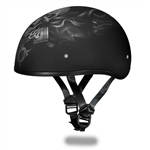 Eagle and gladiator style novelty helmets, full face helmets with flip up faces and fun designs and half helmets in a variety of graphics for women and men. 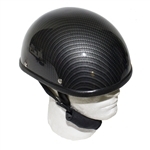 Now in-stock the SMALLEST DOT helmets on the market!